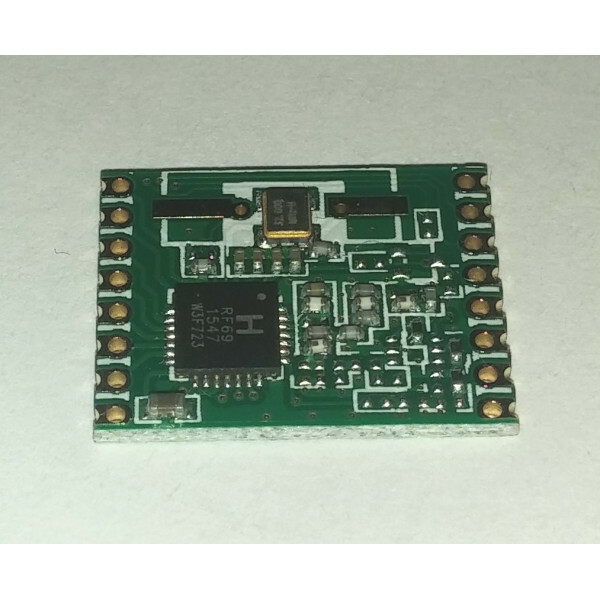 This RFM69-433 transceiver module operates over the 433MHz license-free ISM (Industry Scientific and Medical) frequeny band. 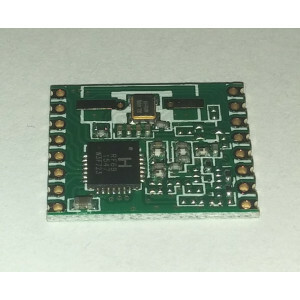 All major RF communication parameters are programmable and most of them can be dynamically set. 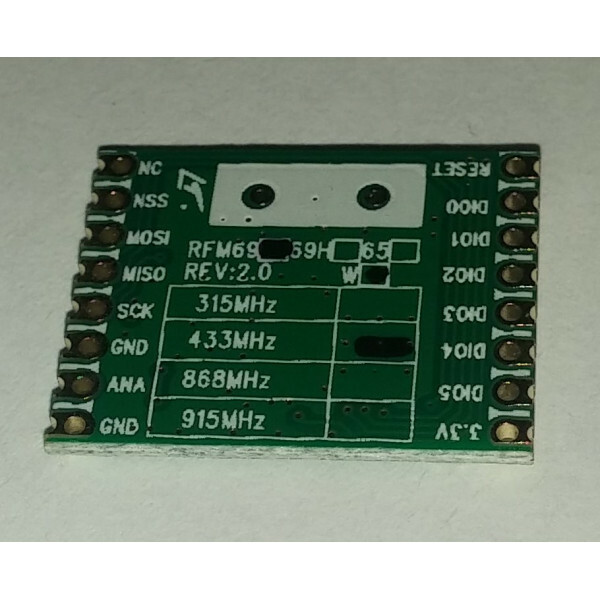 The RFM69 has the advantage of programmable narrow-band and wide- band communication modes. 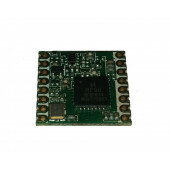 The RFM69 is optimized for low power consumption while offering high RF output power and channelized operation.